Frazer is a Salesforce Certified Sales Cloud Consultant and Administrator with a passion for creating solutions that save organisations time through automation. Whenever you hear of ‘must have’ Salesforce Apps or see a ‘top 10 Apps for Salesforce’ blogs post, you can almost guarantee that FormAssembly and Conga are in there. These two powerhouse App’s have got a name for themselves by being simple to use and automating complex business processes with ease. While being completely different Apps in terms of function, together they can take automation within Salesforce a step further and create truly seamless processes. In this blog post, we present an example of how a not for profit organisation can use Salesforce in conjunction with the Form Assembly and Conga Composer apps to automate a number of highly manual processes and unlock a huge amount of wasted time (based on a true story). 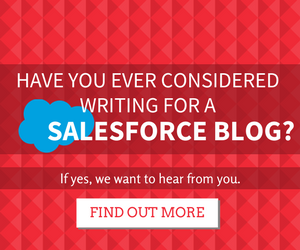 Individually, these 3rd party applications can extend the power of Salesforce without the need for custom coding. But combining them can enable incredibly powerful solutions to be created extremely cost effectively in a short period of time. Conga Composer is a leading document generation and reporting tool for the Salesforce platform. 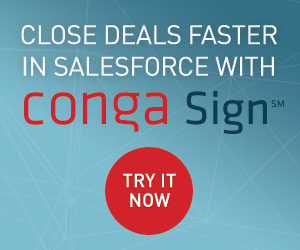 Conga specialises in retrieving data from Salesforce whether it is held in Standard or Custom Objects, reports or queries and in turn, merging this data into various formats (Word, Excel, Powerpoint. PDF, HTML Email). Workflow is an addon for Composer that automates these processes by using Salesforce Workflows to trigger solutions. Picture a highly paper based not for profit organisation who run a leadership training Programme whereby a cohort of Participants progress through a year long curriculum. Gathering Programme feedback involves sending out emails asking Participants to complete a Word document with their thoughts about the Programme. Then monitoring emails as Participants begin to send back completed forms and tracking in Excel. The aim is to transform this highly manual and time consuming operation to collect Participant feedback into a highly automated activity that is easy to operate. This should include moving feedback forms online, automated email invitations and response tracking, highlighting chasing outstanding forms and storing responses against the Participants’ records. Let’s have a look at how this solution is built up..
To understand how this solution hangs together, we need to consider what the Salesforce User sees as well as the participant. Each quarter, the Programme Manager logs into Salesforce and pulls up a list of Participants using a View. 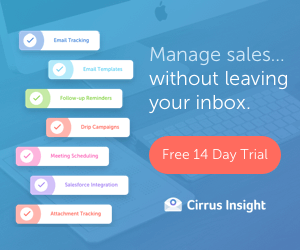 Within a few clicks, they can activate the process of automatically sending each Participant an email inviting them to complete their Quarterly Feedback form. Salesforce can schedule chaser emails if responses haven’t been received after a predefined period of time. Keep track of which Participants have submitted their feedback, and who needs to be chased via a Report. Click into a Participant’s record to see the Feedback records building up over time. Here’s how it looks from a Participant’s point of view. An email arrives with the subject “Leadership Programme feedback request”. The Participant simply opens the email, clicks the link and the Feedback Form opens in their browser. It’s a simple matter of completing the questions online, attaching a document or photo if relevant and clicking submit. A minute or two after submitting feedback, an email acknowledgement arrives with a PDF “receipt” containing the responses submitted. The PDF document contains a record of the responses submitted in the form. Saving time and money – by automating labour intensive activities such as sending emails and compiling results, this type of solution can free up huge amounts of time. One organisation was able to save a day a week of administration time within a small team. See the wood for the trees – Salesforce can present key metrics on Dashboards and in Reports for valuable insights. Another organisation used response data to measure the effectiveness and impact of their Programme which ultimately led to Programme re-designs and greater clarity of job roles within their team. Instant alerts – Salesforce can be setup to send instant notifications to team members should a Participant submit a low score for immediate action. Scaleable – This type of solution can handle growth in the organisation so if Participant numbers increase, the solution continues to function in the same way and simply saves even more time! Rephrase is a Salesforce consultancy that focuses on saving organisations time and money by streamlining and automating routine processes that drive meaningful insights, centralising information into a common database and creating systems tailored to the needs of each client. I believe I can answer this on behalf of Frazer. There is actually a couple things going on here, the first is that the user enters the information in on the Form Assembly survey. Form Assembly then updates the mapped fields from the form into Salesforce, this in turn kicks off a Salesforce workflow that triggers Conga Workflow which uses the fields which were filled in to send a merged PDF to the user. Thank you very much for your answer! I guess we could imagine only attaching the pdf on the record in Salesforce rather than shooting it back to the user… Therefore, if we’re not talking about delivering the data to the user but just merge it locally, do you think we could use a simple workflow or do we absolutely need to use Conga workflow? PS: Very useful website; congrats and keep up the excellent work !! Conga Workflow is actually the part that automatically merges it into PDF format. You could get away with not using Conga workflow, but this would require you to manually click a button in order to merge the PDF which would obviously be more time consuming. Good luck with your solution! I can recommend uCalc plugin https://ucalc.pro/en for making great lead forms. I have already installed lead forms I created there to all my websites. A number of orders from clients increased right away.